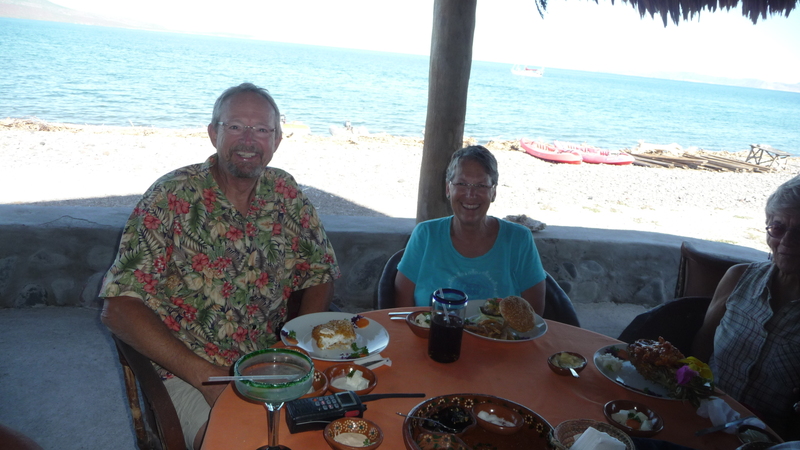 We had heard stories about this great restaurant located all by itself along a remote stretch of the Baja coast very near to Isla Coronados. Unfortunately, that description could apply to any of several different buildings spread along 2 or 3 miles of that coastline. We just never seemed to put together a sortie to investigate more closely. And we had never spoken directly with anyone who had actually been there to point out which was the correct building. Then along came Ed and Connie on Sirena. 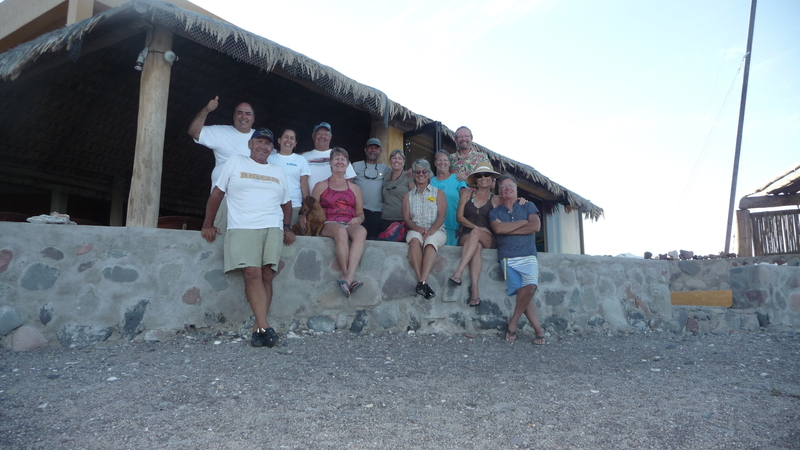 They had actually visited the restaurant and were now with us in the west anchorage at Isla Coronados. It didn’t take long to put together a plan of attack. 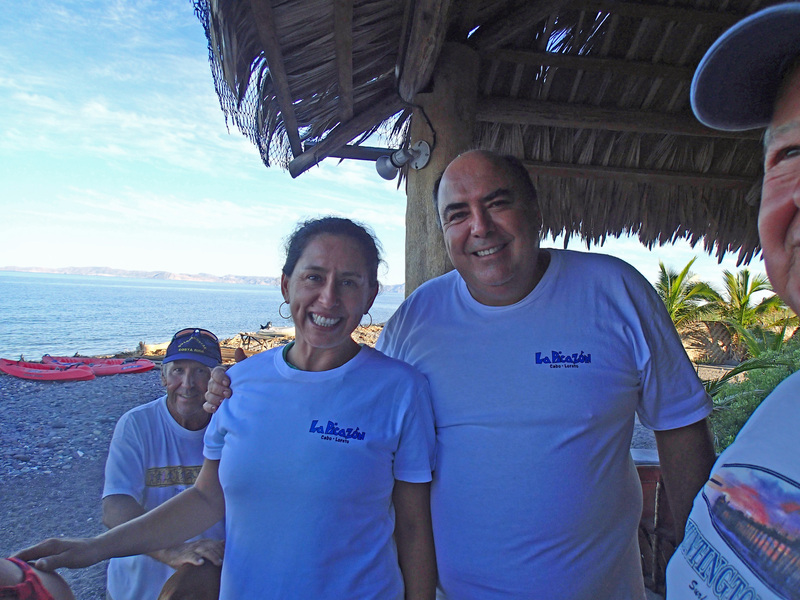 With smooth water conditions the next day, 5 dinghy’s made the run across the strait to meet Alejandro and Emelda, owners of La Picazon. A two story concrete structure painted a particular shade of yellow with palm frond covered porches along two sides, La Picazon has no markings to identify it as anything other than someone’s home. And that is what these two very nice people told us over and over, “this is your home”. 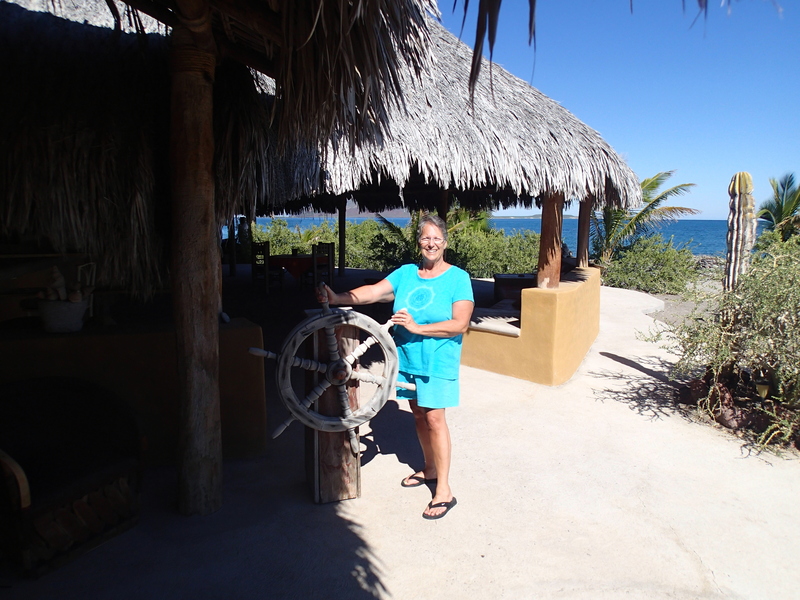 Neat, tidy and comfortable, this would be a great place to call home even if it did not have such awesome views of the Sea and Isla Coronados. Enlarged photos on the walls document some of the sea life seen from this very spot, including leaping whales. And it is remote. 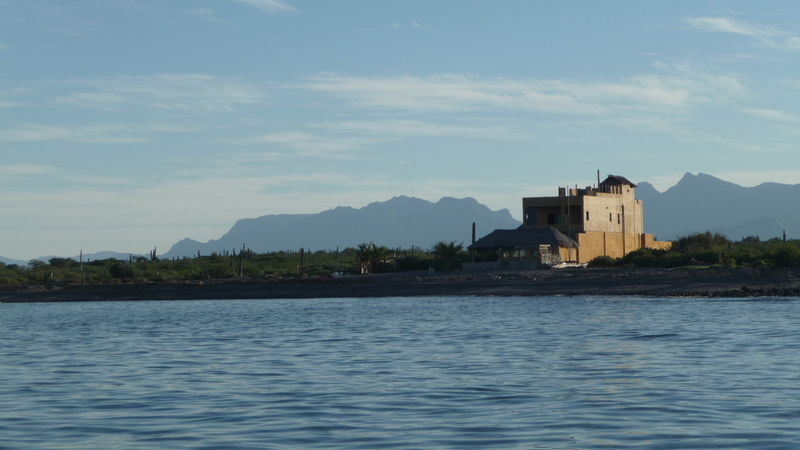 Located at the dead end of 5 miles of rough dirt road, and about 7 miles north of Loreto, there is nothing else around. Alex, Emelda and their 4 friendly and active dachshounds took very good care of us. They are just the nicest people (not the dachshounds) and set a mean table (no, Alex and Emelda, not the dachshounds). Around the group we had fresh parrot fish prepared several different ways, a couple of different shrimp dishes and even one hamburger cooked well done. Any guesses which princess passed up the fresh seafood for a well done hamburger? Yeah, there’s no need to guess is there? Everyone declared theirs to be the best. Even the burger got accolades. 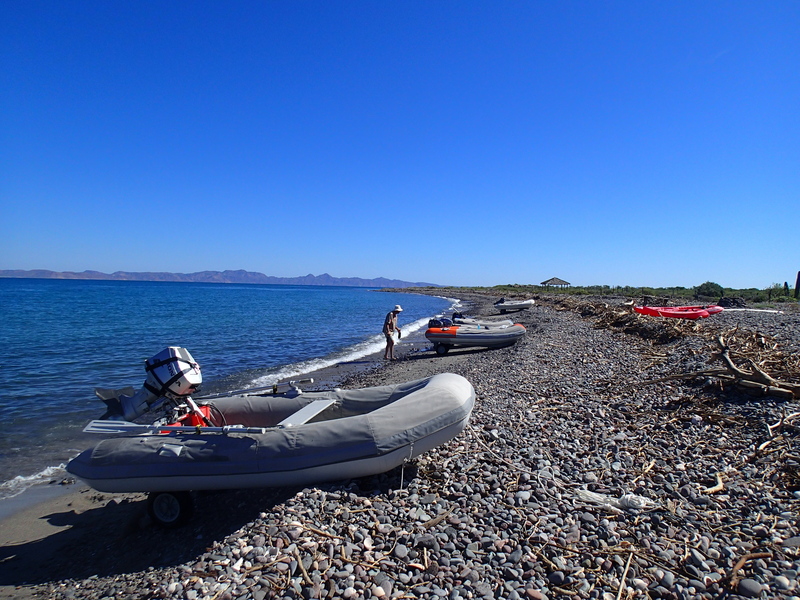 Should you ever find yourself at Isla Coronados and conditions permit a little open water dinghy ride, take up a heading of 220 for about 2.7 miles to La Picazon. Or you can anchor the Mother Ship just offshore in 20’ of water near 26 4.455N 111 19.109W. You will beach on gravel and sand only 20 yards from their dining room. Be prepared for great food and friendly, gracious service while enjoying a glorious view. Oh, what does “la Picazon” translate into in English? I’m glad you asked. It means “feeding frenzy”. Is that cool, or what? But, wait, that’s not all! We went back. Surprised? You shouldn’t be. Two days later and with a smaller group we went back for lunch. Same great people, different food choices but still great food and, get this, they offered to put on a private cooking class for us. We are talking about taking them up on it – but that’s another story. In the meantime, here are a few photos of our little feeding frenzy. I thought it could be a cool boat name, too, Gary. When the day comes that we swallow the hook maybe we’ll name our “estate” La Picazón. Or even a motorhome. Ha-ha. Sent from a mobile device with it’s own ideas about what word I am trying to type and how I want to spell it. Please forgive those frequent occasions when it wins the argument or slips one past me. Our kind of place for sure. Glad you found it!